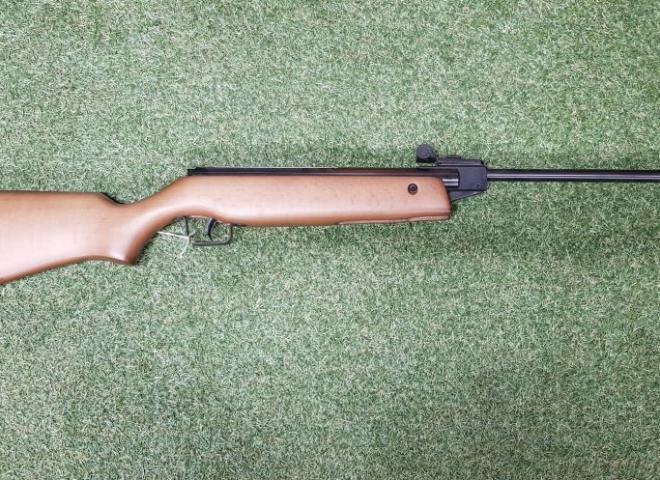 Unbelievable value, full power spring air rifle from SMK, comes as complete outfit with 4x32 scope and built in sound mod. A really versatile co2 package, comes as a multi shot pistol, complete with a removable rifle barrel and stock. Converting the the pistol to a rifle ups the power to 500 fps, which is suitable for pest control. second hand. in padded case with unbranded 4 x 28 telescopic sights. As brand new. Purchased last year. Only fired it around 10 times and not been used since. Comes with the brand new gun bag and 1 tin pellets. 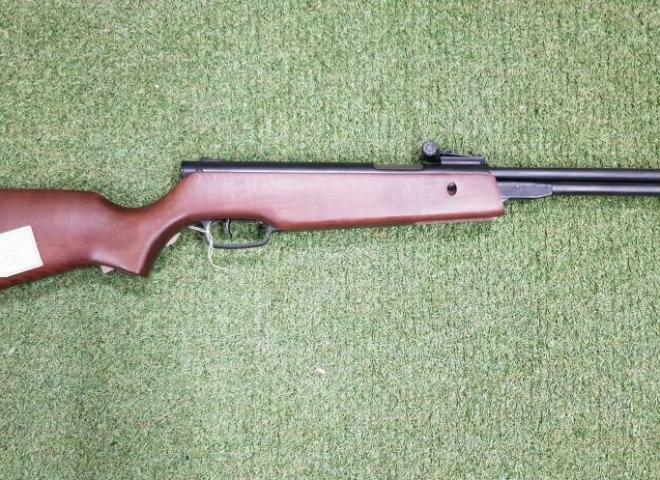 Smk B2 air rifle comes with scope and mounts bipod pellets (few used) 70 x 14x14 targets and carry case has been used every weekend for about 2 months averaging 50shots a time so fairly new and in excellet condition would prefer collection. Gas ram break barrel air rifle featuring sleek sporting synthetic stock and stylish barrel weight to reduce muzzle flip. Also includes Tasco 3-9x32 rifle scope. Complete hunting outfit at a great price! Shoots pellets & BBs, Smooth pump strokes, Visible safe/ fire indicator, Fiber-optic fully adjustable rear sights. Great starter air rifle for junior shooter. Supplied with filling probe, single shot tray and 7 shot magazine. The SMK12 is a barrel-pull down type air rifle. It is suitable for recreational shooting. The rifle features an automatic safety system and is made of top quality steel, making this air rifle very durable. SMK XS15 Junior Lightweight and designed for beginners. This is the Gas Ram version of the ever popular rifle from Sportsmarketing. Does not come with scope that is shown in photo. *** BRAND NEW INTO THE UK ***...... THESE RIFLES SEEM TO SELL OUT AS SOON OR BEFORE THEY EVEN ARRIVE at the supplier ! The very latest offering in these SUPERB VALUE for money air rifles AND unbeatable in a multi shot PCP air rifle.